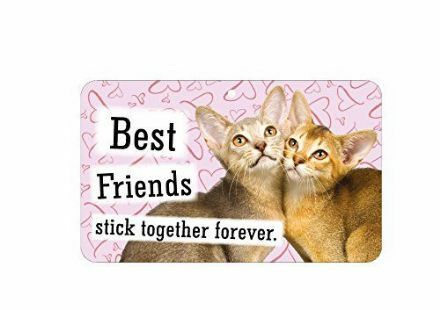 A very cute Fun Sign complete with the wording Best Friends Stick Together Forever. An ideal gift for your best friend! This Fun Sign would make a great gift for someone special. It comes complete with the wording I’m not OLD, I’m just becoming VINTAGE. Have a laugh with this great fun sign. 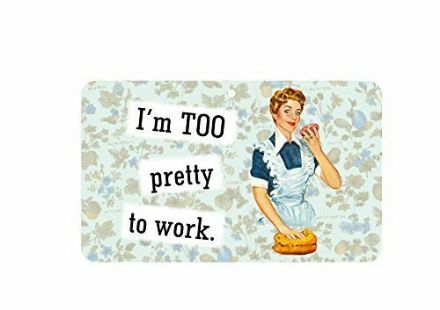 Complete with the wording I’m Too Pretty to Work. A delightful gift for someone special. 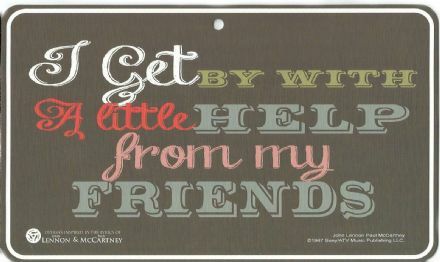 This fun sign would make a perfect gift for a fan of the Beatles. 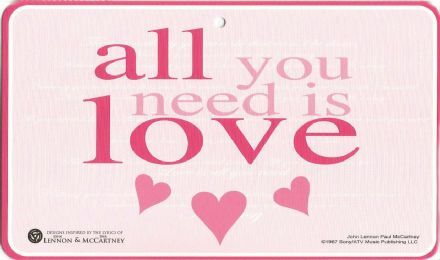 It comes complete with the wording ‘all you need is love’. I get by with a little help from my friends fun sign. A great piece of memorabilia for a Beatles fan. 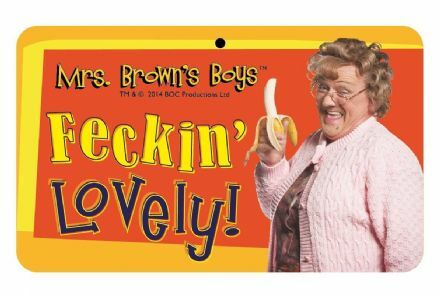 What a great laugh you will have with this Mrs Brown’s Boys Feckin’ Lovely fun sign. A perfect gift for a fan of this television series. Mammy’s the Word Door Sign from this fantastic television series Mrs Brown’s Boys. A great gift from this popular show. 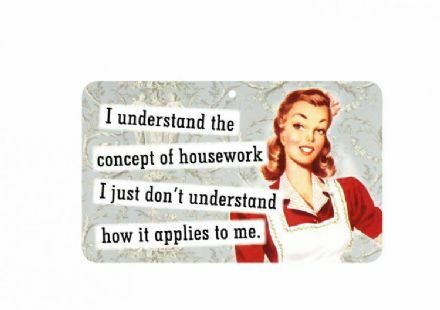 What a fun sign to put up in the home. 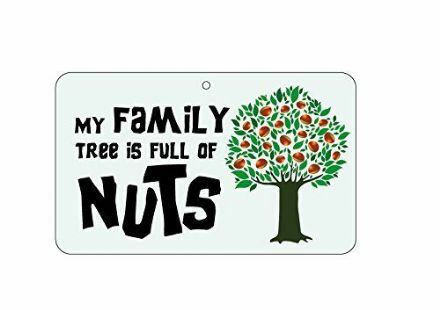 Complete with the wording ‘My Family Tree is Full of Nuts’. 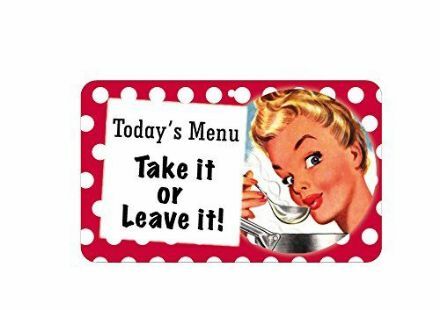 A great fun sign for the kitchen, complete with the wording Today’s Menu, Take it or Leave it! 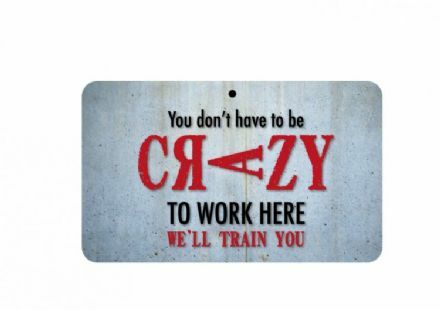 This wonderful fun sign would be great for the office with the wording ‘You don’t have to be Crazy to Work Here’.